One of the best online resources for long-form articles is Medium. It’s a very popular publishing platform covering a wide diversity of topics, but best known for its tech-focused content aimed at developers, designers, and startups. I personally find Medium an incredible resource for keeping up to date with trends in design and web + app development. Although I’ve been a happy subscriber from day one, I do have some misgivings. Perhaps you identify with these as well. Medium is essentially yet another form of social media. Publishers, businesses, professionals, and casual writers choose to publish here because it’s easy to gain significant readership, compared to running your own blog or website. But Medium, just like Facebook or Twitter, is a closed, proprietary platform. That makes everyone subject to the whims of whatever it decides to do as a business, and how it chooses to handle your content if there’s a major event with the company (acquisition or shutdown). For example, until late 2017, Medium allowed users to tie a custom domain to their Medium accounts, affording a great opportunity to apply their own branding. But no longer. Medium ended this unilaterally (while grandfathering custom domains already tied in). With no active competitors, resistance was futile. We often write as a means of not only communicating something with purpose, but also benefiting ourselves in the process. Writing can help us reinforce understanding in a given subject matter, or provide emotional release. On Medium, many stories I encounter seem very self-serving for the purposes of catharsis. As with other forms of social media, people willingly use Medium to open up about themselves emotionally. But for a paid subscriber, this gets tiresome after a while, and I feel a self-hosted platform (blog) is better suited to very personalized content. Online publishers sustain themselves through subscriptions, social media data-driven advertising, or both. To his credit, Medium founder Ev Williams (who also co-founded Twitter) made the decision to abandon advertising, after finding that editorial content tied to ads was compromising Medium’s reputation for providing quality journalism. 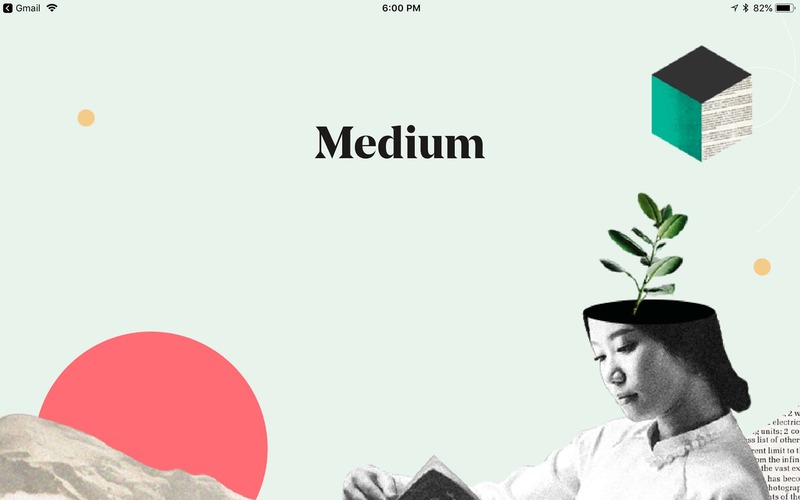 Medium now relies on monthly subscriptions and compensates writers and publishers by way of a rather novel system of assessing reader engagement. They charge a $5 monthly fee per subscriber. This is certainly affordable, but without no other means of revenue, I really have to wonder whether they can sustain themselves without increasing the subscription charge at some point. Also possible is another sudden, drastic change to their business model, possibly upending publisher and writer relationships. This has already happened with the moves toward, then away from advertising, and shortly afterward, terminating subscriptions sold by publishers. As stated in the title, I really do love Medium and I’m glad to be reading articles from it daily. I do hope it can successfully sustain itself long-term as a thriving company, with the valuable contributions of a wide diversity of content creators and thought leaders.